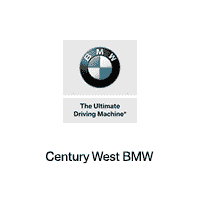 We offer a huge variety of body work options at our BMW Body Shop in North Hollywood. Some people are curious about what kind of work is covered by a body shop, so let’s dive into 10 of the most popular jobs we see regularly. Dent Removal: If you get side swiped or even just have a baseball thrown at your hood, then the dent can really bring the appeal of your car down. This is an easy, quick fix for our body shop professionals. Front Bumper Damage: In any kind of accident there is likely to be damage to your front bumper; we can help with reconstruction or replacement. Auto Body Painting: One of the toughest jobs we do is actually matching paint in the event of scratching or discoloration. Finding the right color to match the uniform wear on the rest of the car is near impossible to do on your own, but we can do it quickly. Collision Repair: After a collision, it is a good idea to bring your car into a body shop for a quick once over. We can fix a variety of minor issues that may cause larger problems down the road. Window Replacement and Repair: Cracked windshield? We can help with that at our BMW Body Shop near Studio City. Frame Repair and Alignment: Over time your car’s frame and alignment can be compromised, but we can tune everything up until it is good as new. Car Detailing: This one isn’t even a big repair. Car detailing is crucial to enjoying your BMW; who wants to drive a dirty luxury car. Suspension Damage: If you’re hitting some dirt roads or uneven terrain, then your suspension can take a hit. We can tune that up at our BMW Service Center. Rear End Damage: Getting rear ended really stinks, but fortunately we have BMW M Certified Technicians who can quickly swap out or rebuild your bumper near Los Angeles. Replacement Exterior Parts: If your side mirrors snap off or a headlight casing breaks, then we can get right to work and find a replacement for you. Stop by our dealership today and get some work done if you have any issues with your BMW near Beverly Hills.